In Shadow Child and Kry Wolf, Portsmouth boasts two of the southcoast finest producers, and the duo have joined forces with their new label Food. Refusing to follow the trends and keeping their ear firmly to the underground, the pair have sourced some great material for their new label. Following the release of Food Music’s first release in the shape of Shadow Child’s 23 EP, we caught up with him to talk about the new project, and how it’s been working under the new alias. The highly anticipated debut from food dropped on the 12th December, and has caused waves across the house and bass cultures of the UK and beyond. The first release from appropriately named YUM001 caused a stir across the genre before its release last week, with the track 23, getting a play on Skream and Disclosure’s Boiler room set to name but a few bits of pre release play. Now available for download this EP is set to become a staple in the sets of house and bass djs far and wide. With remixes from fast rising Kry Wolf, the later’s profile has been boosted hugely by their recent collaboration with Claude Von Stroke on their single Turbosteppa. Pushing an ethos of forward think dance music and unique label parties, Food has lots on its horizon and is a label to watch grow in 2013. 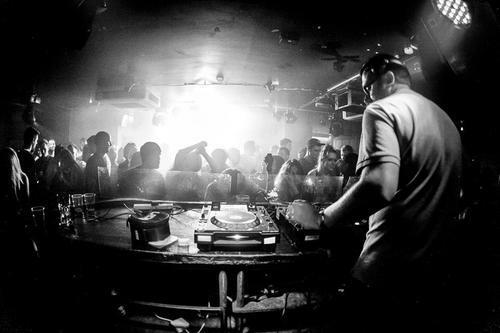 What’s it been like making the transition from Dave Spoon to you new alias Shadow Child? It’s been inspiring.. I mean I’ll still do something with Spoon at some point but right now it’s all about this. If I didn’t focus on the one thing then it’d be so hard to manage, and also hard for people to believe in like I do. It’s been a great year and I’m so lucky.. the support had been amazing all round. What’s your best memory djing? I remember playing as Spoon at Amnesia Ibiza for Cream in 2008 and I had the whole terrace (about 2500-3000 people) absolutely in the palm of my hand for 2hrs, when the electro-house thing was still so fresh. Same season I did Pacha for the first time too and that was equally up there. It’s all about the music and timing.. same kind of vibes at the moment with house again. It’s great people are excited about 4/4 again. What artists are going to be releasing on Food? So far we can only mention Hannah Wants, Kill Frenzy, Origin, Kry Wolf and Me! There’s others that we’re in talks with but generally the excitement around it is amazing. Can’t wait to really get cooking! What’s the ethos behind the new label? Forward thinking house.. some bassy, some in other areas too but it’s all about the quality of things from our point of view. It’s great working with Kry Wolf on this too.. it’s the perfect meeting of minds for this new thing that’s going on. How did you and Lewis (Kry Wolf) end up joining forces for this? We both run our other labels in Portsmouth (Sounds of Sumo + Televizion) and ended up trying to sign similar music so we decided to join forces so hopefully it’ll be double the success and double the fun! Any other releases as Shadow Child you want to tell us about? There’s another track coming on Dirtybird.. ‘The Only One’ which is a darker sound but I guess it has the SC trademarks all in there and it goes down really well. That should be out Feb.. and there’s more in the pipeline with remixes and stuff. Keep an eye on the soundcloud! What’s your strategy for the next year? Try not to go too mad with remixing, it’s great everyone seems to want one but it’s at a point where I need to keep it real and get great originals out there.. so watch this space! Keep an eye out for a Food Music takeover coming soon at Concrete in Portsmouth.